When it was released in 1976, the original Apple-1 computer only sold for $666. 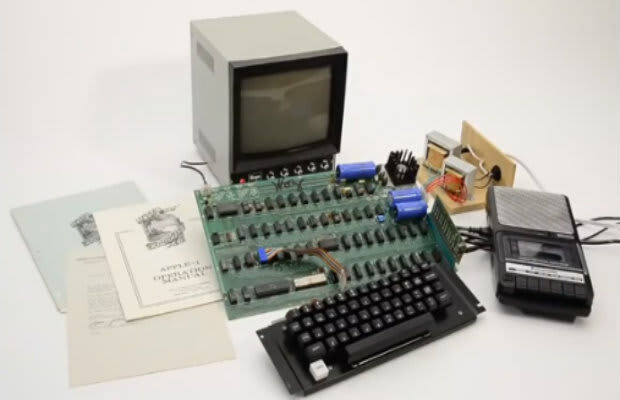 Flash forward 37 years later, and that same item nabbed a record-breaking $671,400 at an auction held in Germany. Previously, the device had been listed at $640,000 in November at the same auction house, and $375,000 less than six months earlier, according to The New York Times. The paper said the buyer was a wealthy individual from the Far East who wished to remain anonymous. Still, The Times could determine what drew him to the auction: "the combination of scarcity, a fascination with the early history of the computer age, and the mystique of Apple and its founders, Steven P. Jobs and Stephen G. Wozniak."